Designers at Painting with Light chose Rosco Permacolor dichroic glass filters to add colour into the Mayaland attraction at Belgium’s Plopsaland De Panne theme park. 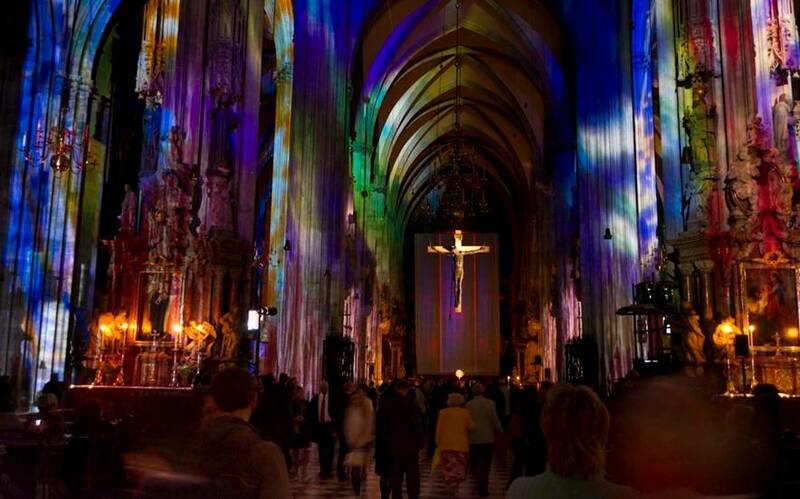 Artist Victoria Coeln defines her Chromotopia light art installations and reveals how she creates them with a behind the scenese look at her most recent project inside The Cathedral of St. Mary in Burgos, Spain. Designers worked with Rosco to engineer custom-coloured “lagoon blue” gobos to create a wave effect for a pedestrian walkway inside Santiago de Chile’s first river park.